The title of the study is “Employees’ attitudes and its effect on the organizational success, a case study with respect to The Thrissur District Cooperative Bank Ltd”. The employees’ attitude and behavior will highly influence the success of the organization. This study tries to find out the bottle necks in the employees’ attitude which may influence the achievement of the goals of the organization. The study is conducted in The Thrissur District Cooperative Bank Ltd. Some suggestions to remove barriers related to employees’ attitude are also included. To create awareness among employees about the areas of work related attitude where they are generally weak. 1.5 Scope and significance of the study. This study is conducted in cooperative banking sector. Very few studies are conducted in human resource management of cooperative sector. The findings of this study can be utilized to create positive attitude among the employees of The Thrissur district cooperative bank Ltd and similar institutions. The attitudinal training based on the findings of this study will contribute to the organizational success. The nature of cooperatives in Kerala is unique. The employees can work for political parties and many of them are district level leaders also. These leaders can indirectly control the managing committee as the committee members come below their rank in the respective party setup. 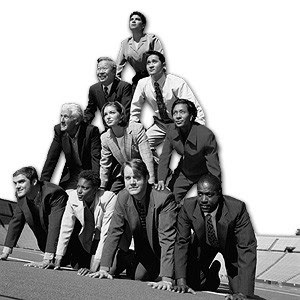 Hence the human resource management is unique in such type of institutions and so the results of this attitude related study is helpful to this type of organization for the organizational success. WOW VERY INFORMATIVE I HAVE ADDED YUR BLOG TO MY FAVOURITES ... KEEP IT UP ! Thank's for a good article !! Great post! very informative and valuable.I will bookmark it immediately.Thanks for posting. Cool! I really impressed! I'm glad to find your page because you have such a nice information that you have written here.Thanks for sharing this.